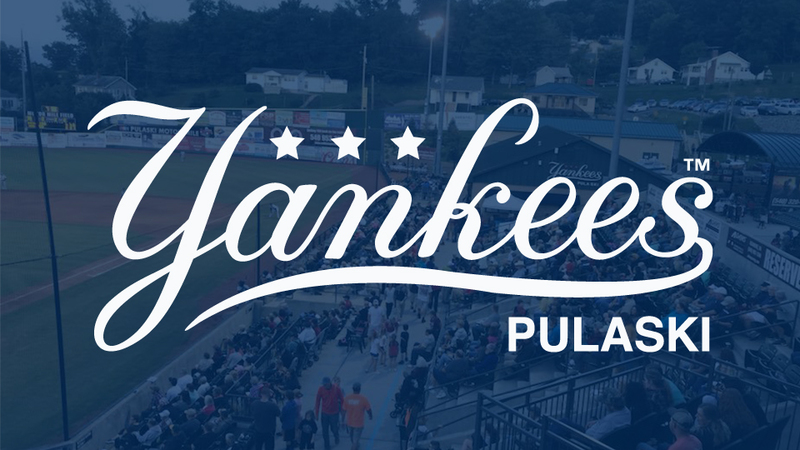 The change to the Yankees' standard start time comes as a result of a motion passed at the 2018 Baseball Winter Meetings in Las Vegas stating all Appalachian League games will be scheduled to start no later than 6:30 p.m.
"While it is a change from in years past, we hope this new start time will be advantageous for both our players and our fans," said Pulaski Yankees General Manager Betsy Haugh. "Games should end earlier as a result of the 6:30 start, which fans should enjoy, especially on weekday games." "We're very excited to add Field Trip Day to our promotional calendar for 2019," Haugh said. "We look forward to welcoming area sixth graders to Calfee Park in what we hope will be the start of an annual back-to-school tradition for our local schools. 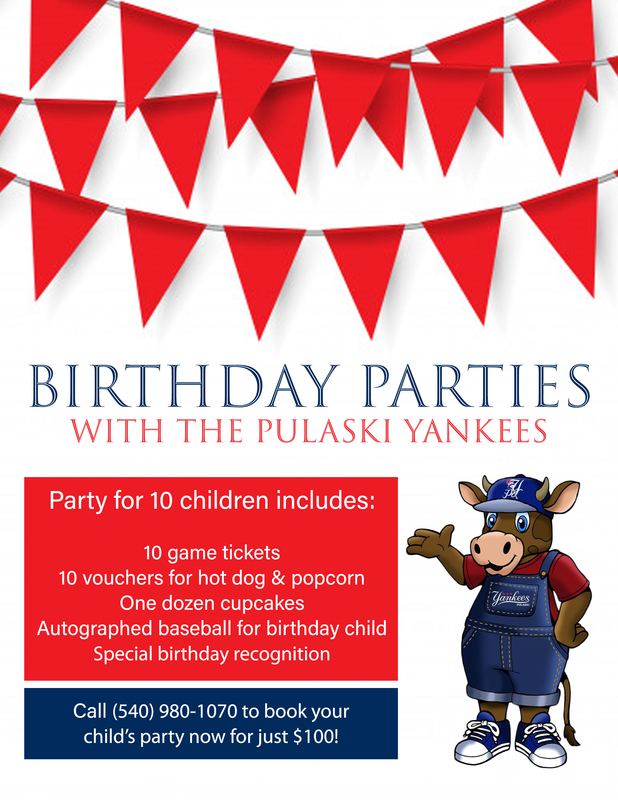 This 11 a.m. weekday start time also provides an opportunity for day cares and summer camps to bring kids to the ballpark and should make it easier for other groups such as nursing homes and senior centers to attend a Pulaski Yankees game, as well."